Life as we know it began with a little bang. Well, a big bang, but it was quite little, apparently. Little Bang Brewing Company began as a small operation and just like the acceleration of mass at the beginning of time, it got larger really quickly. 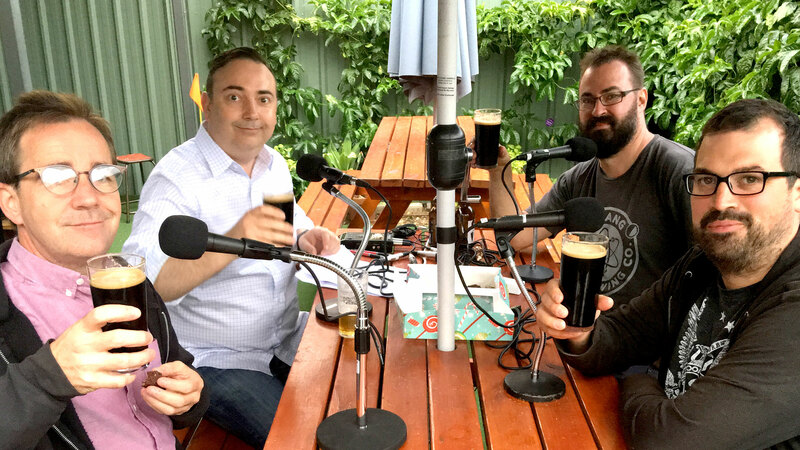 The prime movers behind this operation are Fil Kemp and Ryan Davidson, and they run a brewery and cellar door in Stepney each Friday, Saturday and Sunday but tonight, they’ve opened their doors to talk about beermaking, winemaking and video games midweek. Gentlemen, game on! Suggested Tweet text: From #joysticks to #growlers the @LittleBangBrew #beer story on #TheAdelaideShow. In IS IT NEWS, Nigel tests us on beer in Adelaide. Reeves is this were coming bosom that show Airlines rapper. Currys to make the first move as well have a horrible time anyway people back or whatever it’s the people. Moving forward we can pick them up and in the chilled promise. And our song this week is Drunk On Your Life by Joe Man Murphy, selected by our musical curator Dan Drummond. Feel like a laugh? Here is the unedited speech-to-text transcript by Speechblogger.